If you are behind on your mortgage payments, do not despair. Foreclosure lawsuits can be fought in the courts in New York. If you receive a letter from your financial institution indicating your home is going into foreclosure or you are served with a Summons and Complaint, your best defense is to go on the offense. Legal action can be taken to protect your home. The first thing which needs to be done is to have the situation properly evaluated. Should you apply for a mortgage modification? Can you qualify for a forbearance agreement? Should you litigate the foreclosure? Has the bank been involved in predatory lending, violations of Truth in Lending Laws, violation of New York State or Federal banking laws? Have they served you with the 90 day notice? Have they acted properly during the course of negotiations for mortgage modifications? 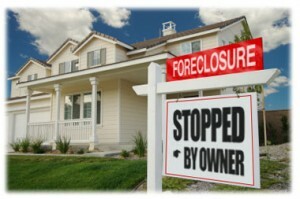 There are numerous issues which need to be analyzed and dealt with as part of a foreclosure defense strategy. Is bankruptcy the right solution for you? Should you file for bankruptcy now or wait until later stages of the foreclosure proceeding? Is a Chapter 7 bankruptcy the appropriate bankruptcy to file or should you file a Chapter 13 which involves a payment plan? Again, this depends on the circumstances involved in each case. Each family’s circumstances and needs are different. Predatory lending generally deals with unfair business practices or unethical business practices which lenders sometimes engage in. If the prospective mortgage holder was deceived or agreed to an unfair or abusive mortgage term, it may involve predatory lending. Due to the nature of predatory lending, most homeowners who have been subject to predatory lending end up having their homes foreclosed upon, and if appropriate action isn’t taken, lose their homes. Predatory lending practices can be exposed as part of a foreclosure defense during the course of a foreclosure lawsuit. When served with a Summons and Complaint the homeowner can allege in his Answer the defense of predatory lending. Should you find yourself behind on your mortgage, facing a foreclosure lawsuit or in the middle of a foreclosure lawsuit, the best way to protect your interests and keep your family in your home is to hire an experienced, dedicated foreclosure defense attorney. It is common for homeowners on occasion to fall a month or two behind in paying their mortgages. Banks will usually not take any action in these situations. However, if you should fall three or more months behind on your mortgage payments, the bank who holds your mortgage may refuse to accept your mortgage payments in the future unless you pay the total amount of the arrears you owe including late charges and penalties. This is called accelerating the mortgage. Banks will usually provide you with a late notice when you don’t make your mortgage payments. They also may send a letter to you describing options you have with regard to mortgage modifications, deeds in lieu of foreclosure, and short sales. If you are behind on your mortgage, it is recommended you try to negotiate with your lender. Your lender may be willing to enter into a forbearance agreement with you. Forbearance agreements are sometimes given to homeowners when they become disabled or when they suffer a temporary loss of employment. The attorneys at the Law Offices of Schlissel DeCorpo have extensive experience in negotiating with lenders for alternative remedies to be utilized by banks instead of foreclosure proceedings. If you have a continued inability to make your mortgage payments you may receive a notice of default correspondence from your financial institution. Eventually you will be sent a letter by your lender giving you 90 days notice prior to the start of a foreclosure lawsuit. If you haven’t hired an attorney by this time, it is strongly suggested you hire a foreclosure defense lawyer when you receive this correspondence. The purpose of this letter is to give you one last opportunity to bring your mortgage current by making all back payments before you get served with a foreclosure Summons and Complaint. The foreclosure lawsuit will not start for at least 90 days. This gives you several months to try to rectify the situation with your financial institution. After receiving the 90 day notice, the lender may not actually sue you in 90 days. The lender may take several more months to obtain the necessary documentation and paperwork before initiating the foreclosure proceeding. In some situations, filing either a Chapter 7 bankruptcy or Chapter 13 bankruptcy can be helpful to deal with your financial difficulties which put you into foreclosure. The Chapter 7 bankruptcy will eliminate all of your debts including your mortgage obligation. In a Chapter 13 bankruptcy you can catch up on your arrears over a 5 year period while making your current mortgage payments. Unfortunately, if you couldn’t afford your mortgage payments to begin with the Chapter 13 bankruptcy won’t work for you. The attorneys at the Law Offices of Schlissel DeCorpo have helped numerous New Yorkers stay in their homes, fight foreclosures and obtain mortgage modifications. Should you fall behind on your mortgage, give us a call and we will set up a free consultation to set up a specific plan to protect you and your family from being forced from your home.